Happy Friday! This has been quite a week here in New England with the “Blizzard of 2015″…we got about 2 feet of snow! However, we ended up having a lot of fun during the storm playing charades, making a big breakfast, watching some movies, and playing football in the snow. I also got to do a good amount of cooking and baking! 1.) 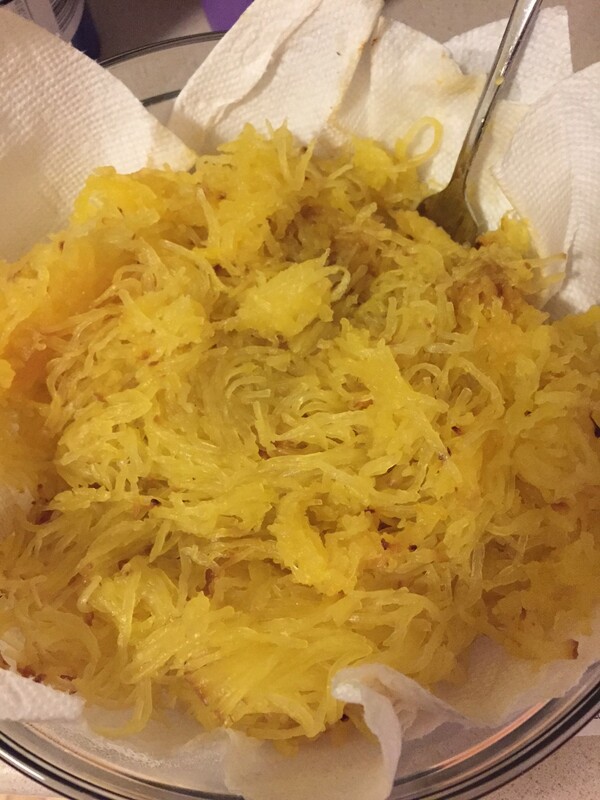 Cook spaghetti squash (instructions here). Scrape into a large bowl/strainer lined with paper towels and set aside. 2.) 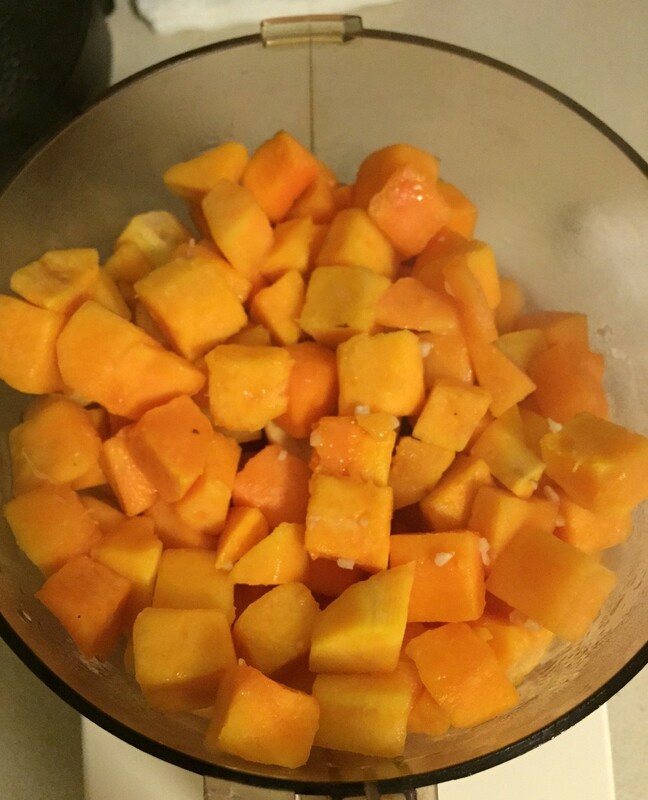 Bring a pot of salted water to a boil, then add raw butternut squash and cook until soft. Or heat pre-cooked cubes in microwave for about a minute to soften them. 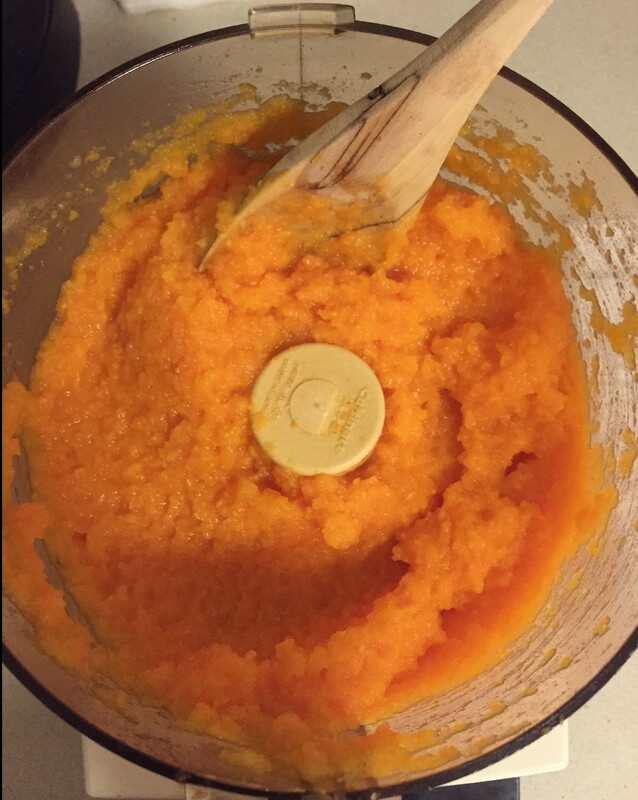 Then add squash to a food processor or blender and blend until smooth. Add milk and blend again until creamy, adding salt and pepper (if desired). 3.) 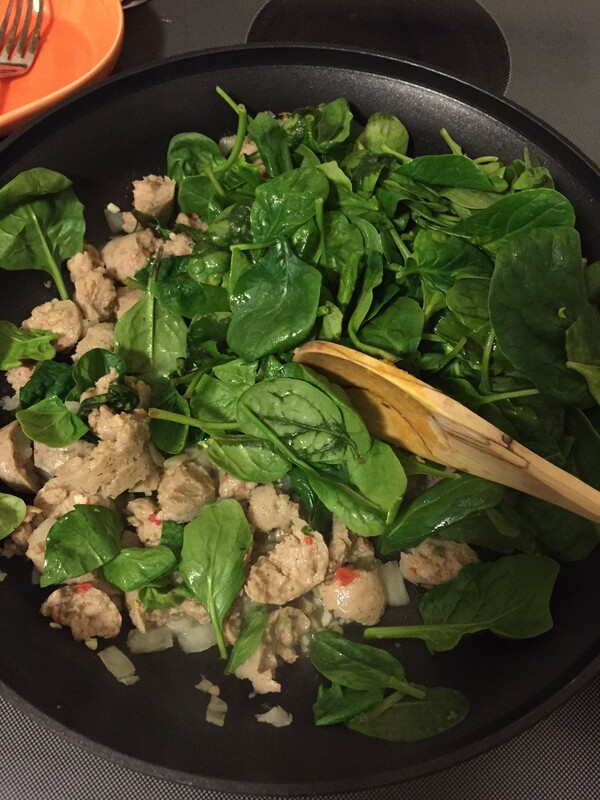 In a large skillet, melt 1 tbsp butter and 1 tbsp olive oil over medium heat. Saute onions and garlic for a few minutes, then add in the chicken sausage and brown. 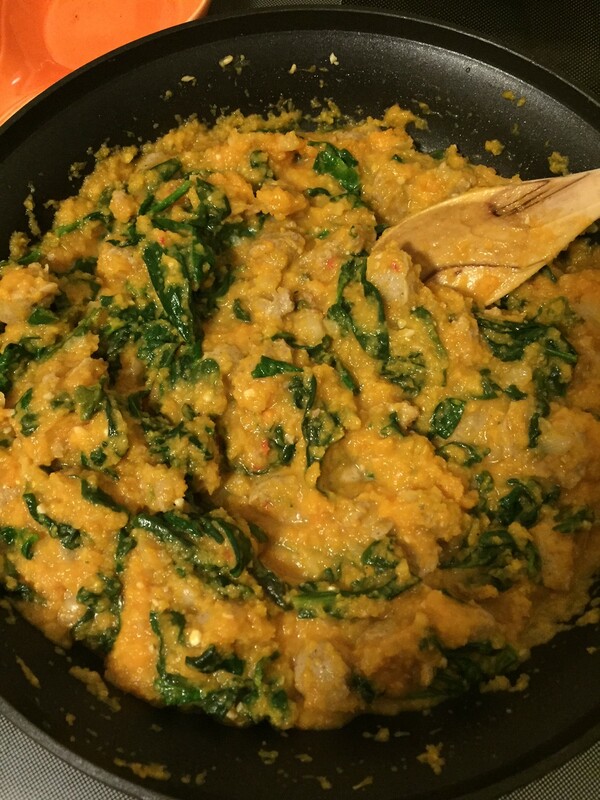 Add in spinach, one handful at a time, until it fully wilts. 4.) 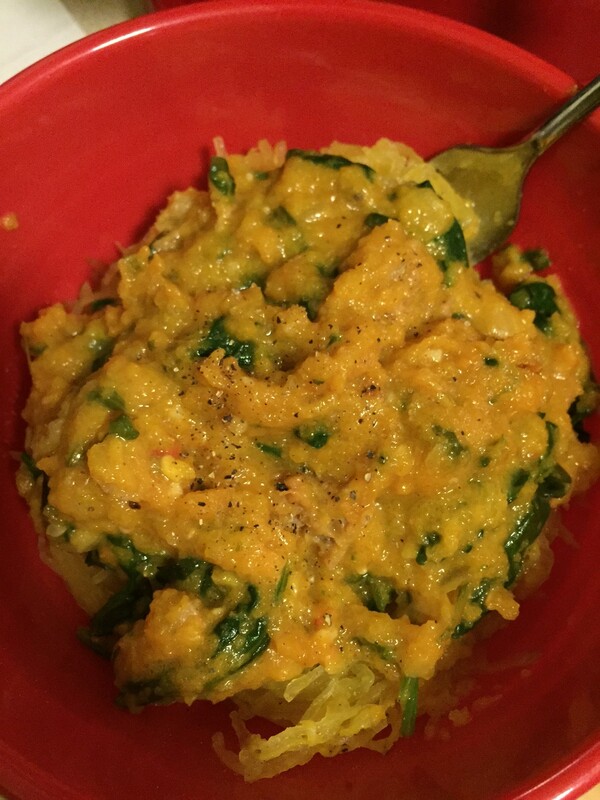 Add creamy butternut sauce to the skillet and mix everything together. Add in cheddar cheese and stir, then season with salt, pepper, and chili powder, if desired. 5.) 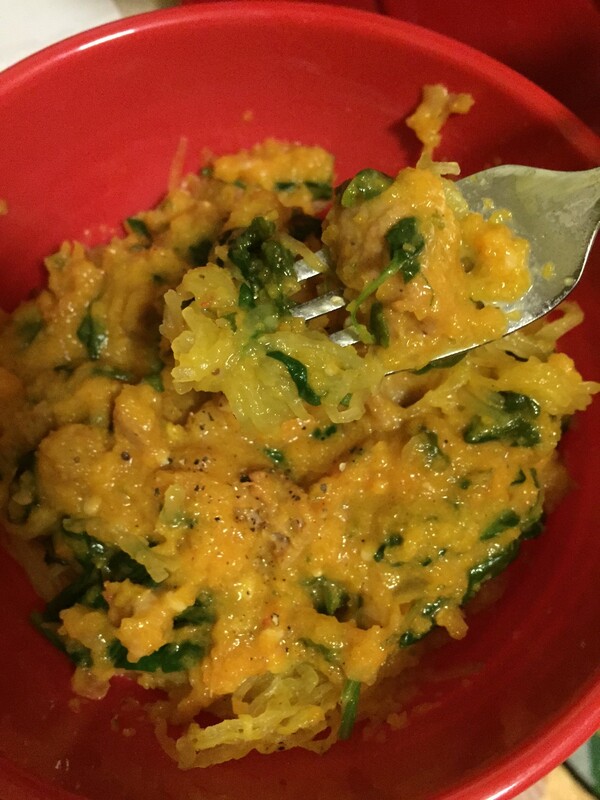 Divide spaghetti squash among 5 bowls/containers and then top each with sauce mixture until it’s evenly divided. Game Changing Snacks with Blue Diamond Almonds!